Professor H.S. 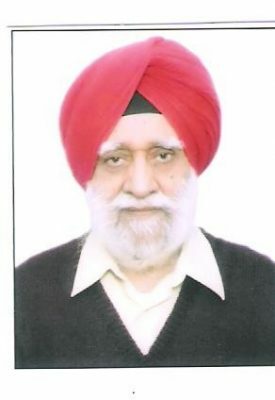 Virk retired from Guru Nanak Dev University, Amritsar in June 2002 after serving as Director Research and Dean Academic Affairs. He was re-employed as Director Research, DAV Institute of Engineering & Technology, Jalandhar (2008-2011); Adjunct Professor, Akal University, Baru Sahib (2010-till date) and Visiting Professor, SGGS World University, Fatehgarh Sahib (2013-17). Presently, he is working as Professor of Eminence, Punjabi University, Patiala (Punjab), India. 16 major research projects mostly in areas of Earth Sciences (Geochronology, Earthquake Prediction Studies), Radiation Effects in Minerals, Polymers, etc. Professor Virk taught Radiation Physics & Nuclear Reactor Engineering to M.Sc. students for almost 20 years. His research publications cover a vast range of fields; starting from Elementary Particles, Geochronology, Radiation Damage in Solids, Earthquake Prediction Studies using Radon & Helium as Precursors, Heavy Ion Irradiation Effects in Polymers, Nanotechnology and History &amp; Philosophy of Science.